Nancy gave a talk at TED2014 in Vancouver! Check back for a link when the full talk is posted, but for now you can read a synopsis here. Terri Scott is off to grad school this Fall. She'll be studying neuroscience at Boston University. Matt Peterson gave a Rank Prize talk. Alex Kell received the DOE Computational Science Graduate Fellowship. Rosa Lafer-Sousa received the NSF Graduate Research Fellowship. Zeynep Saygin won a Wellcome Image Award and a Koch Institute Image Award for her DTI image of white matter tracts in the human brain! 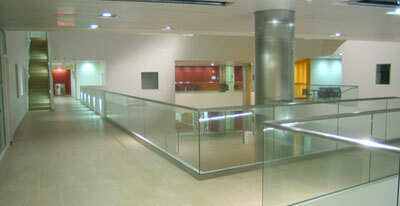 The image can be seen in the Koch Institute Public Galleries. - Matt Peterson joined as a new postdoc. - Katherine Hermann joined as a new research assistant working with Caroline Robertson. - Michael Cohen will be joining us this summer as a new postdoc. Ev Fedorenko officially accepted a faculty position at MGH. John Mikhael ('13) won a Rhodes Scholarship to study next year at Oxford University! He has been working in our lab as a UROP with Danny Dilks and Jason Fischer. Kami Koldewyn moved to her new faculty position in the School of Psychology at Bangor University in Wales. Danny Dilks moved to his new faculty position at Emory University. How does he feel about it? See here. Alex left his position as a lab tech but didn't go far; now he is working with Nancy and Josh McDermott as a graduate student. 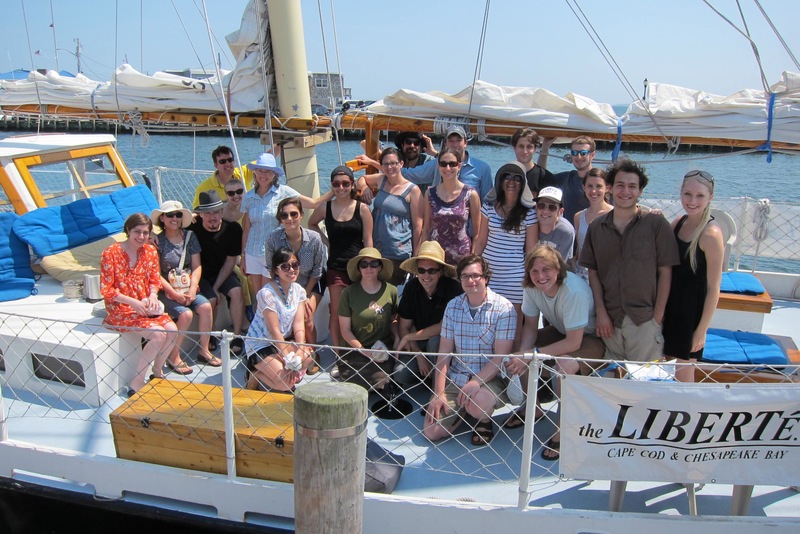 In August, Nancy hosted a lab retreat on the Cape which included wonderful food, friends, and whale watching! There are many new members of nklab! - Caroline Robertson joined the lab as a new postdoc. - Rosa Lafer-Sousa joined the lab as a new grad sudent. - Jenelle Feather joined the lab as a new tech. - Walid Bendris joined the lab as a new tech. Former lab member Tanya Goldhaber gave a talk at TEDx Oxbridge. In July, Nancy had us down to her beautiful Cape house. It was part lab retreat, part goodbye party for Josh and Julie, and part welcome party for Jason, Zeynep, and Terri. Or, as one lab member put it, "A grand meeting of old and new!" Among other things, we sailed on a seventy-foot boat, where we took a group picture. - Jason Fischer is a new postdoc coming from David Whitney's lab at UC Berkeley. - Zeynep Saygin is joining the lab as a postdoc after finishing up her PhD with John Gabrieli and Rebecca Saxe. - Terri Scott joined the lab as a new lab tech. Julie Golomb got a faculty job at The Ohio State University. Danny Dilks got a faculty job at Emory. He can't bear to leave (and would like to finish up some work around here), so is deferring for a year. Josh Julian is off to grad school (fall 2012). He's going to Penn to work on scene perception with lab alum Russell Epstein. Po-Jang (Brown) Hsieh got a faculty job at Duke-NUS Singapore. Eyal Dechter is off to grad school (fall 2011) -- just down the hall to work with Josh Tenenbaum (and Nancy, too). Sarah Weigelt finished up in lab is now working as a post-doc at the University of Muenster in Germany. David Pitcher finished up here and is now working with Leslie Ungerleider at NIMH. Alex Kell joined the lab as a new tech. Danny Dilks won the Simons Post-Doctoral Fellowship. Kami Koldewyn and Sarah Weigelt won the Simons Post-Doctoral Fellowship. Sarah Weigelt will be awarded the Otto Hahn Medal of the Max Planck Society. New people are joining the lab: Josh Julian (lab tech), and new grad student Sam Norman-Haignere. Ed Vul got a faculty job at UCSD (starting fall 2010). Won Mok Shim got a faculty job at Dartmouth (starting in winter 2010). Many new people are joining the lab: Eyal Dechter (new lab tech), plus postdocs Julie Golomb, Kami Koldewyn, and Sarah Weigelt. Jason Webster is off to work with Scott Murray, Geoff Boynton, and Ione Fine. Jonas Kubilius is off to grad school in Hans Op de Beeck's lab. Danny Dilks' recent paper was written up in Scientific American. Former lab member Kalanit Grill-Spector got tenure at Stanford. Nancy was elected as a fellow of the American Academy of Arts and Sciences. Kanwisher, McDermott, & Chun (1997) has now been cited 2,000 times (and not all of them are saying we are wrong). Former lab member Russell Epstein got tenure at UPenn. Ev Fedorenko will be receiving a K99 award for her neuroimaging work on language. Ed Vul's work on the "crowd within" has been written up in Scientific American Mind and the Economist. Long-ago lab member Rebecca Saxe received the very fancy 2008 Parkard Fellowship in Science and Engineering, plus was named one of Popular Science's "brilliant 10" of 2008. Former lab member Hans Op de Beeck received a Career Development Award form the Human Frontier Science Program. David Pitcher, a grad student with Brad Duchaine and Vince Walsh at UCL, is arriving this fall to spend 8 months in the lab working on joint fMRI and TMS experiments and helping us set up our new TMS lab (complete with Brainsight). Jonas Kubilius graduated from MIT this spring and has joined the lab as a full-time tech. Bradley Berk, who graduated from Hopkins this spring, is working in the lab as a half-time tech. Johannes Haushofer and Becca Schwarzlose received their Ph.D.s. Becca is now at UCLA for a postdoc in clinical neuroscience, and Johannes is now working on a second Ph.D. in Switzerland, this time in Economics (after a stint in Kenya). Karla Evans has joined Jeremy Wolfe's Lab. Ed Vul was awarded the APA Early Researcher Award. Karla Evans, Evelina Fedorenko, and Won Mok Shim have just joined the lab as postdocs. Jason Webster is our new technical assistant. Ed Vul received an NDSEG Fellowship. Becca Schwarzlose received a Razin doctoral fellowship and a postdoc position in Ty Cannon's lab at UCLA. Karla Evans received her Ph.D. from Princeton. Evelina Fedorenko received her Ph.D. from MIT. « Nancy Kanwisher received the 2007 "Golden Brain Award" from the Minerva Foundation. Mark Williams was hired as a Senior Academic (CORE) from the Macquarie Center for Cognitive Science at Macquarie University. Leila Reddy was hired as a postdoc at the Centre de Recherche Cerveau et Cognition in Toulouse. Zoe Kourtzi won the 2007 VSS Young Investigator Award. Johannes Haushofer was awarded a German National Merit Foundation Scholarship. Johannes Haushofer, Nancy Kanwisher, and Margaret Livingston received a grant form the Bial Foundation for research on the neural basis of temporal discounting. In September 2005 we moved into an awesome new lab in the McGovern Institute, in a wonderful building shared with the Brain and Cognitive Sciences Department and the Picower Institute for Learning and Memory. Johannes Haushofer was awarded a Boehringer Ingelheim Scholarship. Galit Yovel accepted a faculty position in the Psychology Department at Tel Aviv University. Also received the very prestigious Alon Fellowship. Chris Baker has been offered a tenure track investigator appointment in the Laboratory of Brain and Cognition at NIH. Nick Knouf was admitted to the graduate program at MIT's Media Lab. Rebecca Saxe Received job offers at Harvard, Berkeley, and MIT, and chose MIT (yay!). Paul Downing promoted to senior lecturer in the School of Psychology, University of Wales, Bangor. Yuhong Jiang recipient of the 2005 ONR young investigator award and the Presidential early career award for scientists and engineers. Zoe Kourtzi appointed to Professor and Chair in Functional Brain Imaging at the School of Psychology, University of Birmingham. Nancy Kanwisher was elected to the National Academy of Sciences.